Super Duper Gamer Team Entertainment: From the Source: Nintendo and DeNA new Business Alliance = Going Mobile & Beyond? ...Yep! From the Source: Nintendo and DeNA new Business Alliance = Going Mobile & Beyond? ...Yep! We've mentioned that they (Nintendo) were planning on doing things with other companies... and here's another one of those moves! From what we read... the new game apps will allow for gamers to enjoy Nintendo franchises through smart devices, and a new multi-device service via new titles (which I think they might have some type of monthly service or something for PC users... since PC is mentioned, but I have no idea until they bring it to our attention). I hope they don't simply resemble other known mobile games and truly take an innovative approach that doesn't take steam away from another developers game that started unique... but quickly ended up in a battle against the clones-type of situation. They should really do more with indie game developers that have strong concepts also, because key franchises don't cover all categories and a bunch of games starring the same characters can turn into overkill if the main franchises already use them at a high level of frequency. If it were me (which Nintendo would probably be afraid to have me on their team... hehehe), i'd create a game engine so that there is an exclusive tool for developers to use to create games for my systems that can be developed on PC or MAC. Connect a Wii U and 3DS to a PC, use the software, cut through the bullcrap (for the lack of a better word) and let quality control come into play... resulting in lots of new games for the platforms. I'd combine the words Nintendo and Engine and call it 'Ningin' or Ningindo. Anyway... here is the information... from Nintendo... hot off the press! TOKYO--(BUSINESS WIRE)-- Nintendo Co., Ltd. (Tokyo: 7974) and DeNA Co., Ltd. (Tokyo: 2432) today entered into a business and capital alliance to develop and operate new game apps for smart devices and build a new multi-device membership service for consumers worldwide. Leveraging the strength of Nintendo’s intellectual property (IP) and game development skills in combination with DeNA’s world-class expertise in mobile games, both companies will develop and operate new game apps based on Nintendo’s IP, including its iconic game characters, for smart devices. The alliance is intended to complement Nintendo’s dedicated video game systems business and extend Nintendo’s reach into the vast market of smart device users worldwide. Under the alliance, DeNA will also be able to strengthen its gaming business at a global scale by leveraging Nintendo’s IP. To ensure the quality of game experience that consumers expect from this alliance of Nintendo and DeNA, only new original games optimized for smart device functionality will be created, rather than porting games created specifically for the Wii U home console or the Nintendo 3DS portable system. In order to create completely new game experiences for smart devices, all Nintendo IP will be eligible for development and exploration by the alliance. As these consumers enjoy the unique kind of gameplay found only with Nintendo, they will have the opportunity to explore even more premium experiences on Nintendo’s dedicated video game platforms. Information on upcoming games and availability will be forthcoming. Nintendo and DeNA also plan to develop an online membership service that is accessible from smart devices, PC and Nintendo systems, such as the Nintendo 3DS portable system and the Wii U home console. 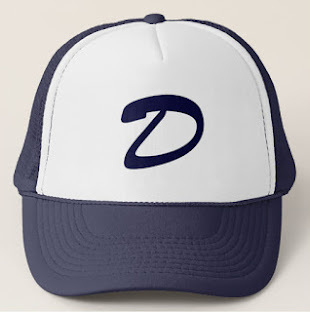 The membership service, which is targeted to launch in the fall of 2015, will be built on DeNA’s extensive experience and capabilities in online membership services. As part of the long-term relationship and commitment by each company, Nintendo and DeNA have also agreed to form a capital alliance. Under the capital alliance, Nintendo will acquire 15,081,000 of DeNA’s treasury shares, which corresponds to 10.00 percent of its total outstanding stock, for a total of approximately 22 billion yen. DeNA will simultaneously acquire 1,759,400 of Nintendo’s treasury shares, which corresponds to 1.24 percent of its outstanding stock, for a total of approximately 22 billion yen. The payment is due April 2, 2015. REDMOND, Wash.--(BUSINESS WIRE)-- Brave explorers of the Fossil Fighters: Frontier game will discover a huge 3D world filled with fossils to excavate, prehistoric creatures to revive and primeval battles to conquer. The new portable game, launching for the Nintendo 3DS family of systems on March 20, has players grabbing their excavation tools, hopping in fully customizable vehicles and heading out into the wild world to dig up fossils and revive them into vivosaurs (think of them as extra powerful, extra colorful and extra awesome dinosaurs). These collectible vivosaurs can then be trained and sent into turn-based battles with other mighty beasts. Fossil Fighters: Frontier also lets friends explore and excavate together, fight as a team against rogue vivosaurs and battle in six-player multiplayer reptilian rumbles. The expansive world of Fossil Fighters: Frontier is rich with things to discover. By hopping behind the wheel of a customizable Bone Buggy, players can explore to excavate fossils that can transform into a wide variety of different vivosaurs. After unearthing fossils, players place them in the back of their Bone Buggies to carefully clean and revive them using the touch screen of the Nintendo 3DS family of systems. Various upgradeable tools like drills and hammers can be found in the game and used in the fun and intuitive excavation process. Select dig sites might even host puzzle- or speed-based challenges, which can be completed to earn valuable and power-enhancing rare fossils. Finding fossils and collecting resurrected vivosaurs is only part of the fun, as these prehistoric creatures can be sent into truly epic battles that pit vivosaur versus vivosaur. All vivosaurs fall into one of five elemental categories – Water, Fire, Air, Earth and Neutral – and possess a special ability that will assist them in battle. Players will encounter many different types of battles in the game, whether a story-based battle that takes place in the main campaign, daily tournaments or even StreetPass battles that let players train against other vivosaurs they pick up while using the StreetPass feature. And the robust multiplayer options in the game don’t end there. 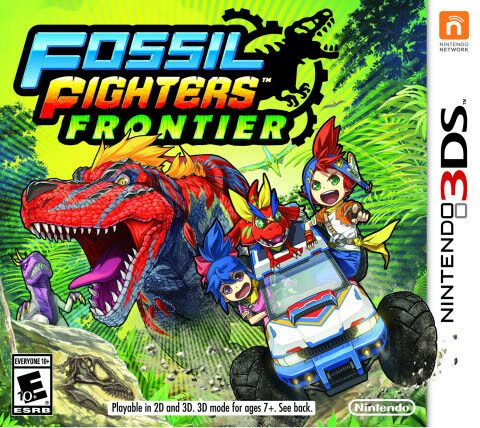 In co-op local wireless, friends who each own a Nintendo 3DS system and the Fossil Fighters: Frontier game can team up and visit dig sites together. Each player travels in his or her own Bone Buggy and can work together to excavate the same fossils or work together to dig out hard to excavate fossils more effectively. Fossil Fighters: Frontier even features local wireless battles with up to six players or tournaments with up to two friends! Players who want to take their battles online using broadband Internet access can compete in one-on-one battles against random players to fight to the top of monthly online leaderboards. Excavators-in-training that visit the game’s website will also have the ability to search for hidden fossils. These five fossils are hidden all over the site, and each time one is found, a new bonus, like wallpapers, game tips and exclusive activity, is unlocked. The site can be browsed right now, but the fossil hunt unlocks onMarch 20, the same day the game launches in stores and in the Nintendo eShop on Nintendo 3DS at a suggested retail price of $29.99.